CRISTINA Cifuentes is a Spanish politician belonging to the governing right-wing Partido Popular (PP). She was president of the Madrid regional government till earlier this week before resigning. She survived in office for over a month after an investigative report carried by a small, working journalist-run website questioned the veracity of a Master’s degree she claimed to have received from a Madrid university in 2012. The news story said Ms Cifuentes was awarded the degree without having attended a single class or taken exams and, worse still, without having presented and defended the mandatory dissertation for the degree. Former students from the year did not recall seeing her in any of the classes, and finally, two members of the three-professor panel that was supposed to have scrutinised her dissertation also went public to say that the record had been falsified. It turned out that she neither presented her dissertation nor defended it as per her claim. The centrally controlled party led by Prime Minister Mariano Rajoy initially seemed to have ignored the controversy. But then the pressure from another party, whose support enables the PP to sustain its minority government in the regional assembly, and opinion polls which showed falling support for the party ahead of this December’s local elections led to an apparent division. Many of the rather oppressive laws enacted by the PP are viewed by neutral Spain watchers as a continuation of Franco’s agenda. When Mr Rajoy, who was on an official visit to Argentina when the scandal first broke, even on his return appeared reluctant to act against a senior PP politician of long standing, one faction within the party apparently decided to do so. Earlier this week, a paper usually sympathetic to the governing party released CCTV footage from 2011 where Ms Cifuentes’s handbag is being searched by a uniformed security guard of a supermarket in the largely working class neighbourhood which is also home to the Madrid regional assembly. She was the vice president of the Madrid regional assembly at the time. The story says the senior politician was seen by one of the staff quietly placing two jars of face cream in her handbag before she tried to exit the store. The staff member radioed security asking them to check the well-dressed lady ‘wearing Prada’ shoes. The fact that this story was carried by a news publication, rarely known to attack the government, was interpreted as an indication that when she refused to jump a powerful faction within the party decided to push her. Like her defence of the Master’s degree episode that she had attributed to the fault of the university, she described this video release as part of a conspiracy by the left to malign her though most political commentators in Spain agree that if anyone’s fingerprints were identifiable in the case they did not belong to the left parties. It is not that Ms Cifuentes’s travails were an isolated case. About 800 politicians belonging to her party are facing corruption charges, with some in prison already. The PP is largely seen as comprising the right that still privately derives a measure of inspiration from late dictator Gen Francisco Franco — even though it would be suicidal to state publicly any such sentiment for Franco, who was Western Europe’s last surviving dictator and remained in power till the mid-1970s. Following his death, the restoration of democracy was so negotiated that the political power of many of his followers stayed intact. His massive tomb north of Madrid and the laying of flowers there even today thumb a nose at the descendants of many Republicans who after mass executions were thrown into mass graves during the civil war. Not even a handful of such graves, believed to be in the hundreds, have been found to this day. Perhaps, that is why many of the rather oppressive laws enacted by the PP and its handling of the Catalan crisis are viewed by neutral Spain watchers as a continuation of some sort of Franco agenda, that divides the country in nearly two halves. Many commentators in Spain believe that PP corruption is rooted in the past when Franco’s associates were not held to account regardless of their crimes as the dictator’s rule was absolutist. This may explain the arrogance of the Spanish politician on the right to this day. But the media, though largely sympathetic to the free market advocating the PP, has still elements that challenge the system left in place at Franco’s passing and laments what it can still lead to in the 21st century when public scrutiny can be far more intense into the conduct of elected public officials. Corruption and patronage may have caused serious pain to the working and middle classes of the country where the economic downturn following the 2008 global crisis has hit them the hardest with a massive reduction in jobs, income levels and public services. Yet paradoxically, the religiously conservative middle-class sections of society still vote in large numbers for the PP regardless of the hardships faced by them, which are directly attributable to the party’s so-called austerity agenda. The status quo is maintained also because the country’s largest corporations wield enormous influence over the media and political parties with many former public officials sitting on the boards of banks and telecom and energy giants. They serve as links between these entities and the party in power. Little surprise then that when a grass-roots movement Podemos emerged a few years ago, advocating clean government and calling for protection of the workers’ rights, it did well in the elections but was isolated with even the so-called socialist party PSOE refusing to form a coalition with it, leaving the field open for the PP to stage a comeback. Podemos also faced a malicious campaign in the mainstream media aimed at discrediting it. Although most of the reported ‘scandals’ turned out to be fabricated the damage was done. Political engineering, it seems, happens everywhere. Only the engineers may be different. 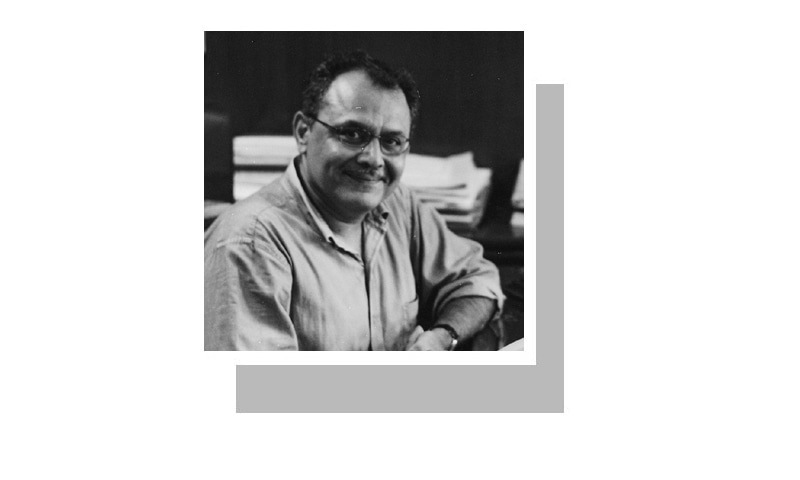 The Pakistani voters must read this thought provoking article by Abbas Nasif, wonderful collection of historic information. Nothing is perfect, their is always opportunity for betterment . Government is best for their maximum deliverance . Politics is more or less name of mixture of ideas which serve to peoples or for their own sack.